Those are beautiful. Never too early to think about seasonal treats like these. Thank you. I like your spirit! You aren’t more than a week early! 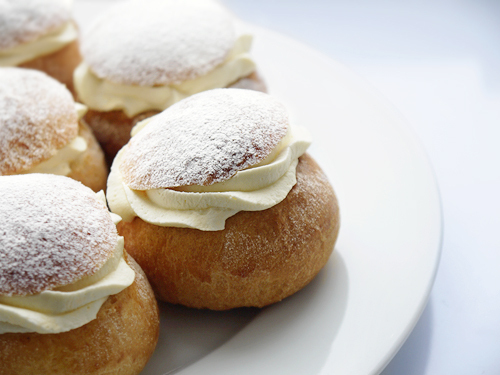 We celebrate (in Norway) fastelaven next sunday where we make sweet rolls with a thick layer of whipped cream (sometimes mixed with custard) and sprinkled with icing sugar. I’ve never had the swedish variety. The marzipan sounds like an interesting touch! Thanks – and a cardamom cake sounds great. I want to start making more baked goods that are really focussed on spices, so I’ll keep an eye out for that one. 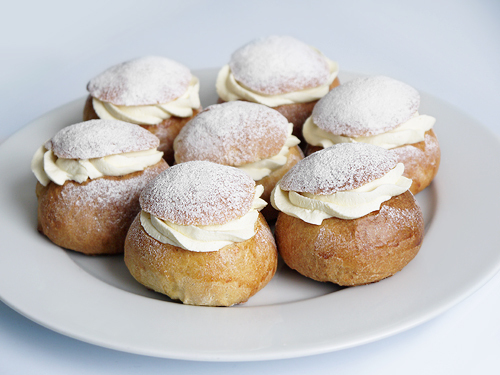 We’ve always served these as you show them but with warmed milk poured over the top and then sprinkled with cinnamon. Can’t wait to have them again! Hi Maria – thanks for the tip. I’ve made some more small buns, so I’ll try that with one of them. I love cardamom and was hoping you’d post the recipe. 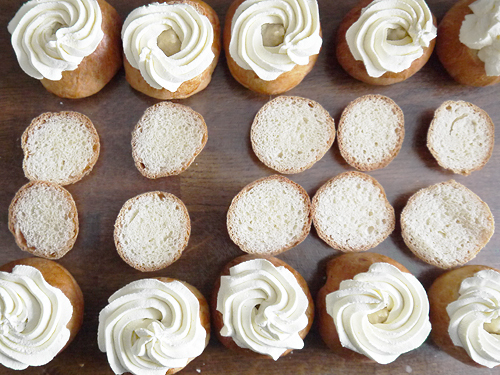 With the marzipan and cream, these sound just about perfect! Hi Annika – glad to oblige! These things are not light, but I think they really suit this time of year. These are gorgeous 🙂 Happy to provide the inspiration! Thanks – that means a lot coming from a Swede! Hi Gitte – I’ve noticed that everything I make from my days in Sweden seems to have a Danish cousin. I saw the buns on your site, so I might give them a try too. Let me know how these work out for you! 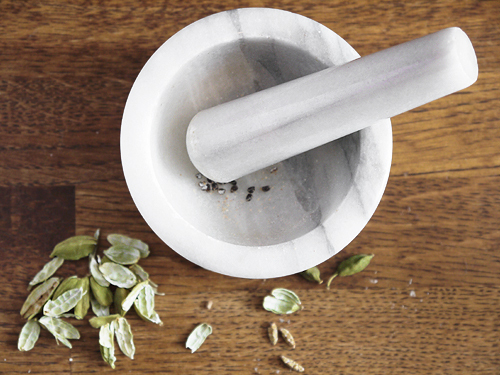 all subcontinentials love cardamom – if they dont – they are not Asian – lol. These look fantastic! And sound delicious! Thanks, and they are delicious – and quite an unusual combination too. Oh 🙂 Semlor I had one the other day.. I love your pictures! Thanks – they’re really a “naughty-but-nice” bun. Glad you like the pics too! Oh no–I just realized today is the last day if I want to be authentic about it all. Good thing I don’t observe Lent, but it would have been a good excuse. 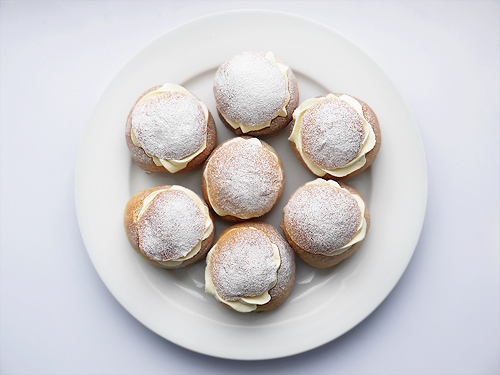 The semlor they sell at Totally Swedish in London are very good.